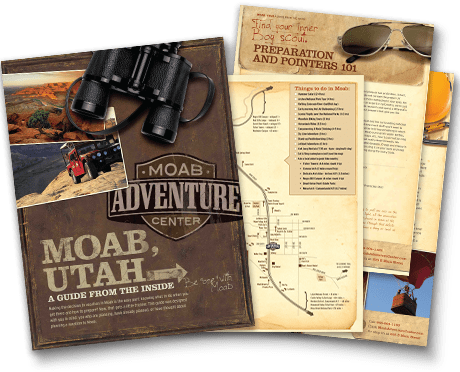 Not sure if Moab is a good place to bring the family? There is plenty the area has to offer for kid-centered entertainment and activities. Check out the list below for our top 10 picks! 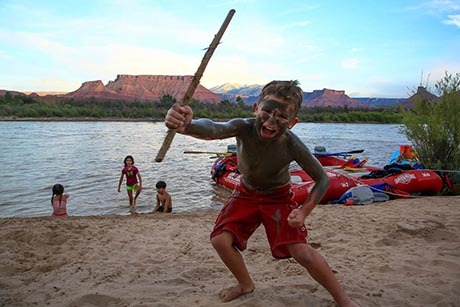 The local section of the Colorado River is a blast during the summer months; and is perfect for families looking to spend a day on the water - and maybe even a night of camping along the Colorado River! These trips are very popular, so be sure to pick a trip and book your space soon! 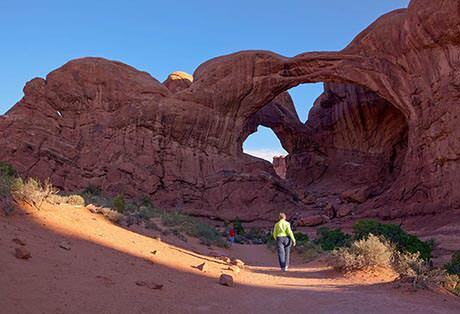 There are many hikes that are kid-friendly inside Arches National Park. The Devil’s Garden and Windows sections of the park offer lots to see in relatively small areas. Interested in a guided tour through the park where one of our knowledgeable guides can point out interesting features in the landscape? A guided tour is the perfect way to see the park as a family. We love the Arches Sunset Discovery Tour for kids! Kids love the adventure that off-road trails have to offer; and parents love them too! We have an amazing Hummer Safari here at the Moab Adventure Center that is great for all ages! 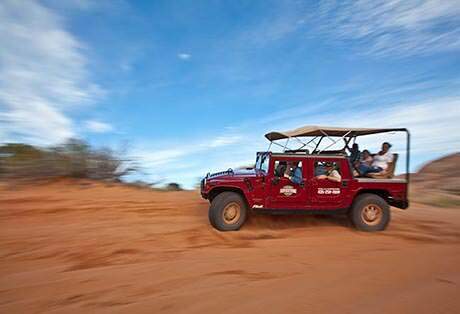 Click on the following link to book your Hummer Tour now! Moab has both outdoor and indoor swimming pools equipped with water slides and diving boards to keep kids entertained for hours! 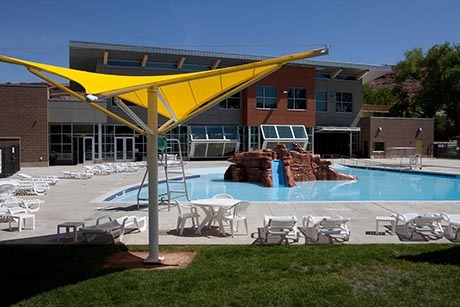 Located just off Main Street, the Moab Recreation and Aquatic Center is the perfect place to stop for a few hours to let the kids play and have a little fun. Located on the east side of town is a beautiful park, perfect for a picnic lunch. 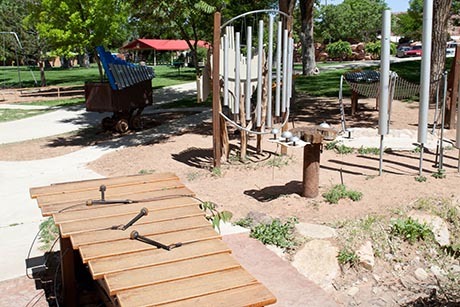 The park offers enormous musical instruments for the kids to experiment and play with. A small basketball court is also available on site. Kids and adults can strap in for a 3-hour zip line adventure. With 6 different zips and 2 suspension bridges; this course is sure to excite! Minimum weights and ages apply. Click the link below to book your Zipline Adventure now! 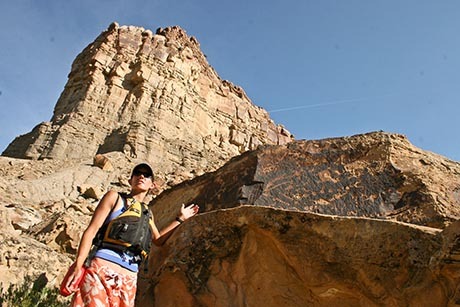 Head north of town to Moab Giants; where you can walk among the colossal creatures that once roamed Earth! With both indoor and outdoor experiences available, your kids will be entertained for hours; all while learning some new fun facts! Get your tickets now by clicking on the link below. 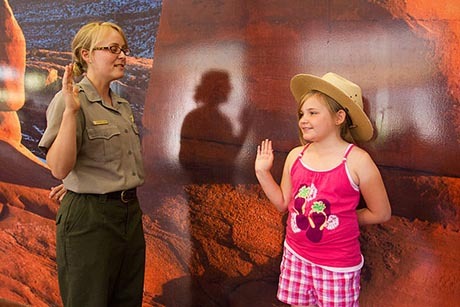 Head over to one of the nearby national parks and become a Junior Ranger! Kids can also rent Explorer Packs for the day and return them to one of the visitor centers when finished with them. 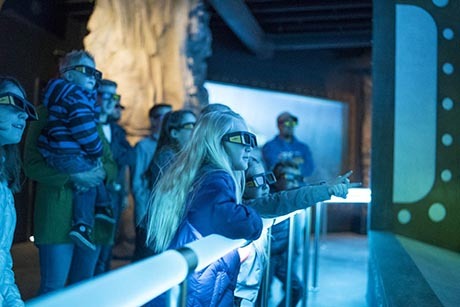 This is a fantastic way for kids to learn about the national parks and have fun while doing so! We suggest Arches National Park for lots of short, kid-friendly hikes. 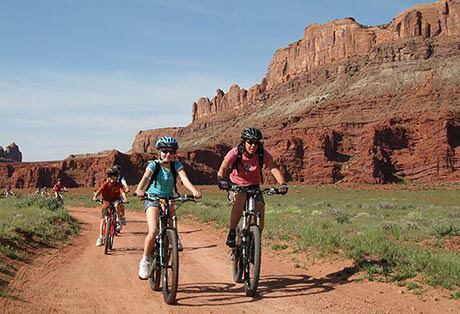 Kids as young as 5 years old can join select mountain bike tours. 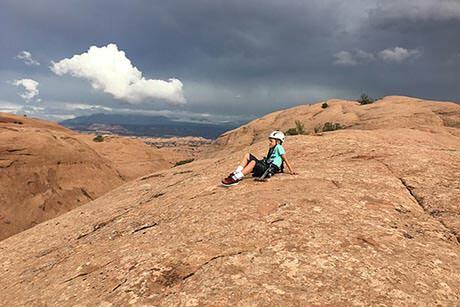 Kids and parents alike love the amazing scenic views available at any point of the trail. Click on the link below to book your mountain biking tour today! There are hundreds of rock art sites left behind by the native people who once roamed the area. With many of them being a short walking distance from the car, take this opportunity to teach your kids about the history of the area!